Launch of a new political party center / center left and not nationalist. A name that picked up the essence of citizens. It refers to citizenship (elements of proximity) and the problems of the citizen. A name consistent with the initial platform, Ciutadans de Catalunya, that allowed the constitution of that party but that, also evolves from the name, precisely to eliminate nationalist components (of catalunya). 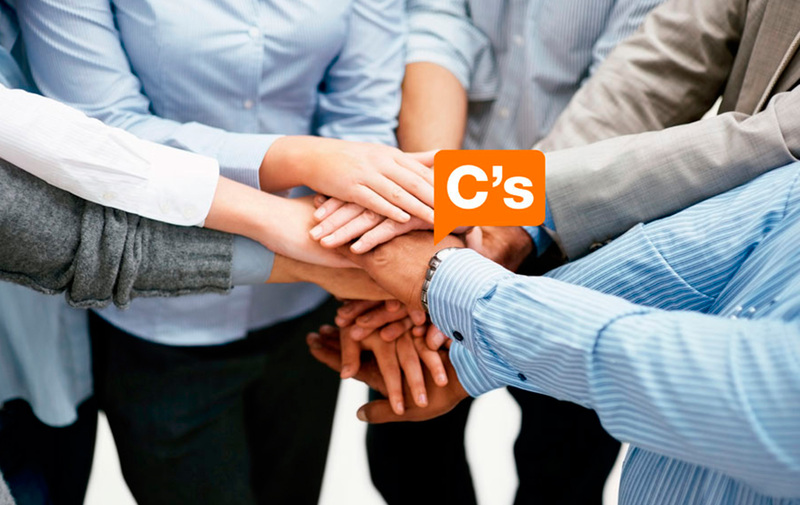 The citizenship party in Castilian plays with the Castilian and Catalan duality (ciutadans) and points to the necessary balanced coexistence of both languages, one of the aspects of their ideology. A positioning around the idea of post nationalism overcoming the outdated idea of left and right. A fresh brand, a different communication.